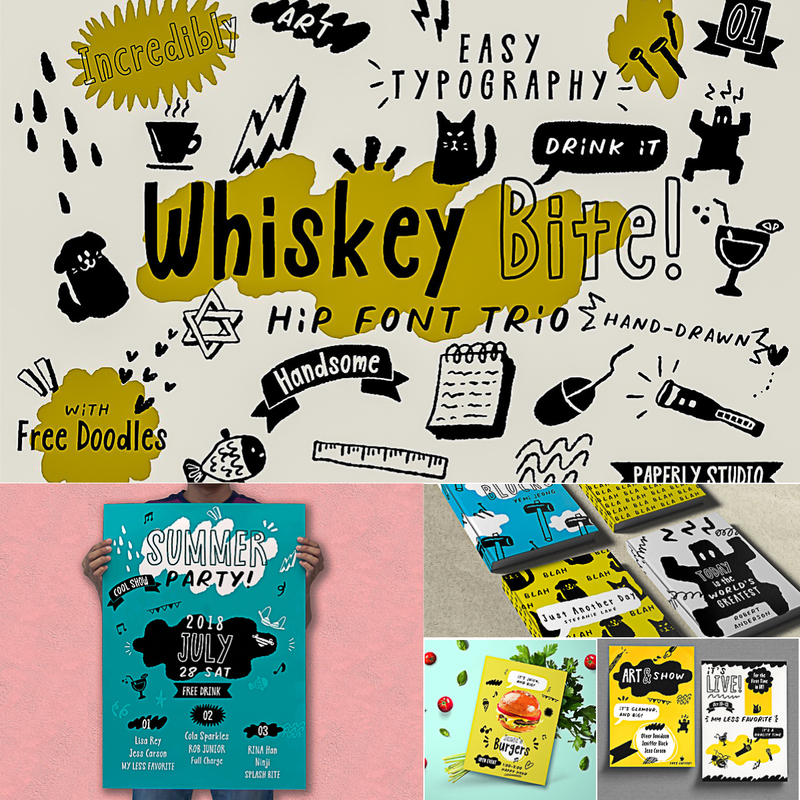 Introducing Whiskey Bite – fully hand-lettered font trio made to give that special personality to your work. You’ll instantly get 3 fonts – a solid, outlined and pairing font. 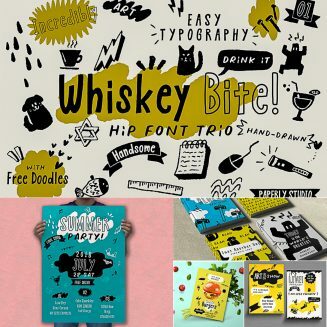 Combining all these styles and illustrations to create hip typographic book covers, package, stationery, posters, social media project, t-shirt, mugs, logos, branding and anything. Tags: font trio, funny, graffiti, graffiti font, hand lettered, hipster font, love font, outline, sans serif, urban font.